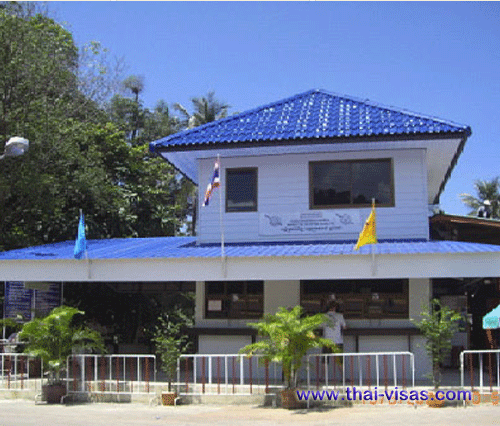 If you are close to the Cambodian border then Trat in South East Thailand is where you would need to seek assistance with your Thai visa. 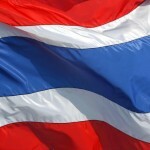 We have listed the contact details for Thai immigration in Trat below. You can also speak to them about a re-entry permit if you have a 1 year visa and going across the Cambodian border and wanting to return with the same visa status. You can also speak to them about a visa transfer from one passport to another and you can also speak to them about your 90 day reporting while in Trat. 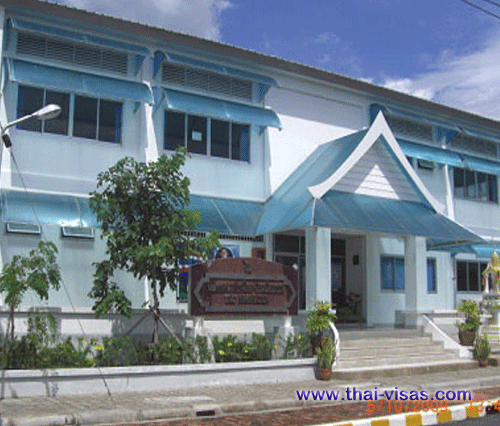 Trat immigration will also extend you Thai visa such as a tourist visa for a fee of 1,900THB and extend your marriage visa in Thailand and Thai retirement visa for 12 months. 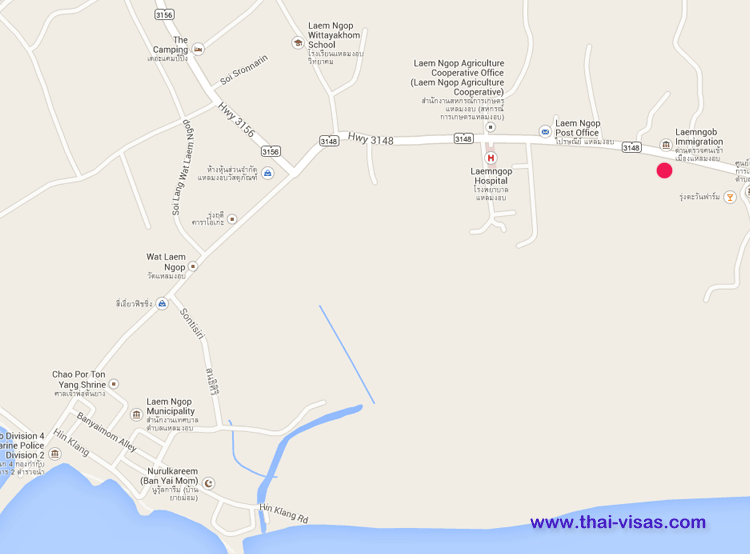 Note that the immigration office is close to the pier in Laem Ngop district in Trat. The pier is to the left on the map and about a 5 minute ride. Note that the Hat Lek border crossing into Cambodia is a small checkpoint and they work very fast. Also note that the border crossing opens at 7:00am and closes at 17:00pm. They have proposed before to extend this to 20:00pm. Make sure you at at the border before 5 in the afternoon if you wish to cross over.